Former ROH star promises "exciting announcements". Former WWE star Austin Aries remained tight-lipped on his sudden departure from the company earlier this month in a statement released on Twitter yesterday. The 39-year-old, who departed last week amid speculation over creative differences with the writing team, expressed his gratitude at being given the opportunity to perform in WWE. Aries also thanked those he had worked with in the year-and-a-half he was with the company, stating: "I wish them continued health, happiness, and success as I move on to new endeavors." It was originally thought that Aries may have requested his release himself, although rumours last week of a rift between the former ROH star and those booking the show pointed towards a mutual exit. Aries, though, appears to have extended an olive-branch by issuing a conciliatory statement free from any lingering animosity. He also promised fans to expect "exciting announcements" soon, as he weighs up his options as a free agent. 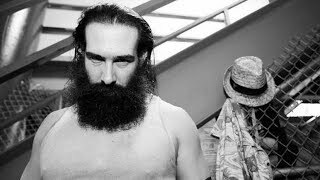 It is expected that Aries will have to observe a 90-day non-compete clause before appearing for any major wrestling promotions, during which he can only work dates approved by WWE.